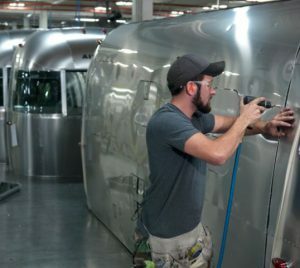 Thor Industries Inc. on Feb. 1 announced it had closed on its $2.4 billion purchase of European RV-maker Erwin Hymer Group. The Elkhart-based recreational vehicle maker announced the deal in September. Thor Industries says combining with Erwin Hymer of Germany creates the world’s large RV manufacturer. The acquisition excludes EHG’s North American businesses, and reflects a $194 million purchase price reduction and a $205 million reduction in the obligations Thor Industries would have assumed under the terms of the original stock purchase agreement. Martin said with the purchased closed, the company can focus on operational synergies and sharing of best practices throughout the combined companies’ global operations. The deal includes EHG’s European operations, which represent the vast majority and core of EHG’s historical operations and are the driving strategic rationale for the acquisition.